By Amy Sherman on Tuesday, January 2nd, 2018 at 4:35 p.m.
A fake news story on Facebook stated that Reese’s peanut butter cups were scheduled to be removed from all store shelves by the end of 2017. "World’s most popular candy to be removed from shelves by December 2017," stated a Dec. 18 headline on musclecarusa.info. The website is mostly about cars and had no contact information. "RIP Reese’s peanut butter cups," said the article, which cited a news conference about declining sales that did not happen. "Make sure to get you one before they are gone!" Peanut butter cup lovers have no reason to panic -- the candy remains available. A Hershey’s spokeswoman, Anna Lingeris, told PolitiFact in an email that the story is inaccurate. 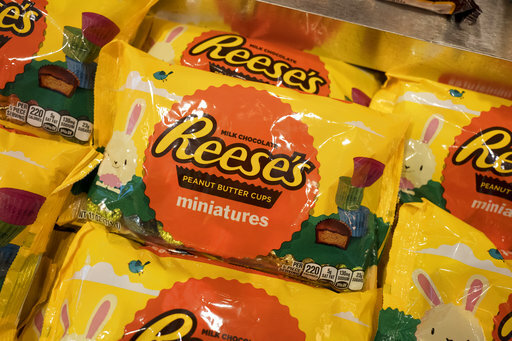 "Rest assured, the only people removing Reese’s products from shelves are consumers, who are taking them home to eat," she said. Because we were curious, and a little hungry, we researched whether Reese’s is the world’s most popular candy. Lingeris told PolitiFact that Reese’s is the No. 1 franchise in the candy-mints-gum category based on dollar sales, according to IRI Market Advantage, a market insights and analytics provider. We contacted IRI directly to confirm the information but did not get a response. It’s fake news that the peanut butter cups were slated for removal from store shelves. We rate this headline Pants on Fire. Published: Tuesday, January 2nd, 2018 at 4:35 p.m.